The Premier League clash between Chelsea and Crystal Palace will be played at Stamford Bridge stadium on Saturday night. The match will be broadcast on Star Select 1 and Star Select 1 HD at 11:00 PM India time. The Chelsea vs Crystal Palace match can be live streamed on Hostar.com. Chelsea will be looking to bounce back from a torrid run of games when they host struggling Crystal Palace at Stamford Bridge on Saturday. The pressure will be on both Antonio Conte and Roy Hodgson as they search for their first Premier League victory in almost a month. The Blues have lost twice in a row while the Eagles have not won a Premier League match since triumphing 1-0 against Burnley on January 13, 2018. Conte on Saturday reiterated that he won’t shy from using Eden Hazard as no. 9 again and given the inconsistency of Olivier Giroud and fitness issues of Alvaro Morata, the Belgian is likely to lead the attacking lineup of Chelsea. On another hand, a string of Crystal Palace players are on the injury table right now and r the cent injury to talisman Wilfried Zaha further weakens the contention of Roy Hodgson’s team in the upcoming fixture. Where and how to watch the online live streaming of Chelsea vs Crystal Palace? Chelsea vs Crystal Palace match can be seen on Hostar.com. You can also catch the Premier League game on the go as well on Hostar app. When and what time is the Chelsea vs Crystal Palace match? The match is on March 10, 2018, and the time of the match is 11:00 PM India time. The match will be held at Stamford Bridge in London. Where and how to watch the live TV coverage of Premier League game? Which TV channel will have the Chelsea vs Crystal Palace match live? The Chelsea vs Crystal Palace Premier League match can be seen live on Star Select 1 and Star Select 1 HD. 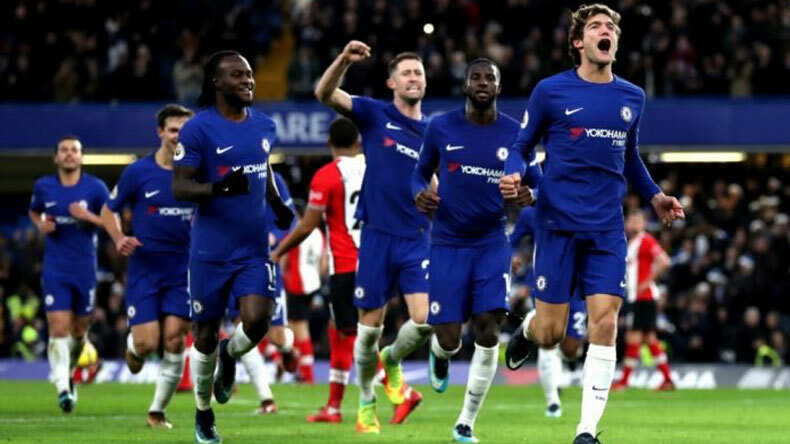 What are the squads for Chelsea vs Crystal Palace match?